I decided to watch this as it received three Oscar nominations and also stars Carey Mulligan who got worldwide recognition for her role, her brilliant acting most recently seen in 'Never Let Me Go'. The DVD cover features Carey Mulligan and Peter Sarsgaard in Paris, perhaps the most glamorous part of the movie- the age difference is obvious, highlighting the central aspect of the movie and their flawed affair and conflict of interests. Attractive, yet classy. 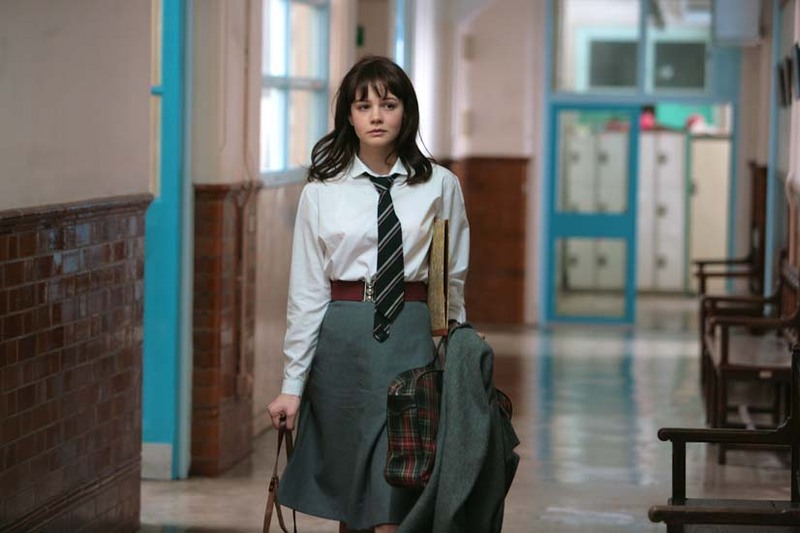 Sixteen year old Jenny (Carey Mulligan) is an A grade student aspiring to read English at Oxford University. Since a chance meeting with David (Peter Sarsgaard), a stranger almost twice her age who offers her a lift home, she becomes drawn into a world of music, glamour and wealth which he shows to her. As her rebellion rises and her grades drop, she must make a choice of wasting away her academic potential or living the life that she's always wanted right now. It was quick to see where this coming of age drama would go as Jenny is fascinated by the world David is living, but he's always keeping something from her. There was always something very suspicious about David and his friends Danny (Dominic Cooper) and Helen (Rosamund Pike). Despite his lies, Jenny falls for the lifestyle he can provide her. As he offers her a lifetime of glamour, what will Jenny do? Will she choose him over an Oxford Education? At this point, the movie definitely reaches the point of no return, where the decision Jenny makes will affect her forever. It is also at this point that the themes surface. The idea of wasting our lives studying and working but not really living, but most importantly, the idea that women don't need an education if they can be a kept woman. In the way the movie unfolds, these themes are dealt with from both perspectives as Jenny experiences both. In a way, the movie falls into tragedy and almost an uncontrollable spiral into a fated ending, given we can all see where it was going, but Jenny couldn't. There is great beauty in her pain and her discovery of the truth, and in doing so, gives her new insight into life and puts her on the right track which becomes a great catharsis. Also stars Olivia Williams, Cara Seymour and Alfred Molina. 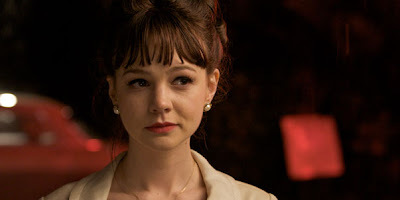 Carey Mulligan deserved for Oscar nomination for her portrayal of Jenny- the range of emotions and subtle expression make her animated and likeable. She seems to also be able to cry whenever she wants to, her tears are never fake or forced. Peter Sarsgaard has the charm and flair to be the older man in this movie (I think it is because he can smile with his eyes). I really liked Rosamund Pike- she has some really funny lines- whilst Dominic Cooper acts as great moral support for Jenny. 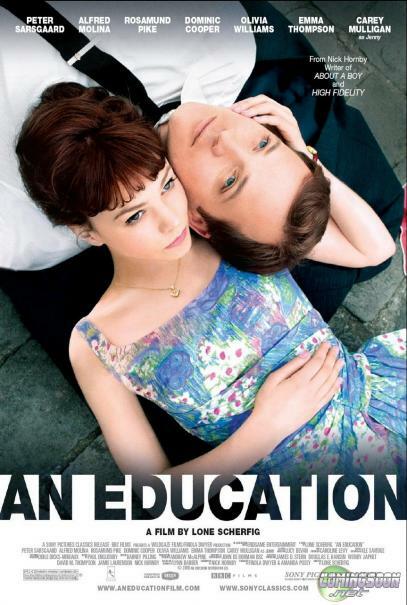 Oscar nominated, 'An Education' is a coming of age story about life with a great script and deep themes such as suppression of woman, shooting young Carey Mulligan to the top with her Oscar nomination for her role as Jenny. The film is glamorous but one that many can relate to, questioning the choices we make in life and if there really are 'shortcuts' to getting what we want.